Rink staff has the authority to remove any skater from the ice or the building if staff deems it appropriate. No visitors under the age of 12 without supervision. No food or drinks on the ice. Skaters must remain on ice or in designated areas with rubber flooring. You must be wearing skates to be on the ice. No one allowed in players boxes. Do not chip or kick holes in the ice. No roughhousing or excessive speeding. Pass slower skaters with care. 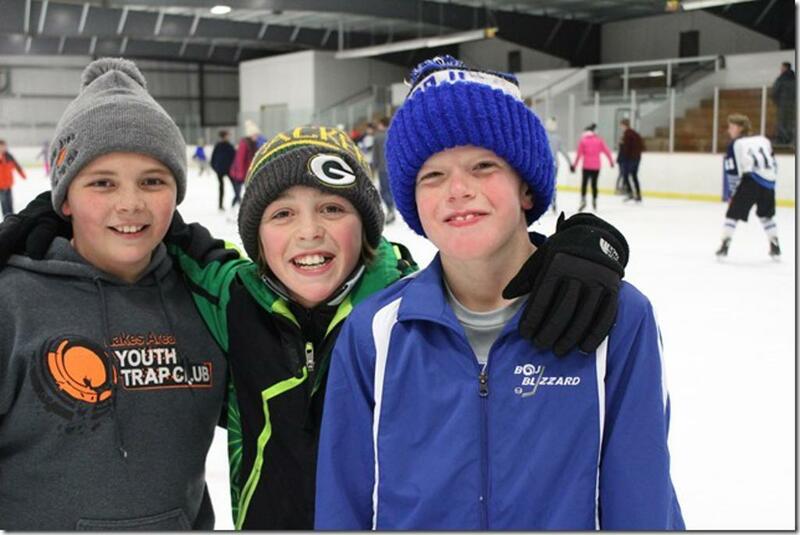 Open skate is held most Friday and Saturday evenings from 7:00 - 9:30. Watch the home page for time changes as evening games might push open skate back a bit. Dress warm--it's chilly in here!